NAWBO NYC’s Mentoring Program is a unique opportunity to grow your revenues, improve your skills, and take your company to the next level. Review our Mentoring Program for details on becoming either a mentor or a mentee! Our Mastermind Groups are another unique benefit offered to NAWBO NYC members. Our Mastermind groups provide a confidential, safe, constructive environment in which to examine business goals and challenges and benefit from the advice and experience of your peers – businesses at a similar stage of development and experience. Review our Mastermind Groups details and join a NAWBO NYC Mastermind Group today! Dr. Tererai Trent Award recognizes a woman who encompasses the characteristics displayed and practiced by Dr. Trent. A woman who uses their power and influence for good and always has a “give-back attitude” and a servant focus. The Dr. Tererai Trent award will be presented at the National Women’s Business Conference Awards Gala on October 15, 2019 in Jacksonville, Florida. The nominee must hold or have held a leadership position in a nonprofit or community service organization or was actively involved in establishing a nonprofit or community service organization. The winner must be present to accept her award. How does the nominee consistently empower others? How long has the nominee been working towards this goal? Tell the story of how the nominee got involved in this program. How has the nominee overcome hardship and difficult circumstances to rise to a position to empower others? Provide an example of her courage and drive to succeed. How does the nominee’s organization give back as a valid/tangible resource to her community? Does the nominee’s program have sustainability? Has it achieved success benchmarks? What position of leadership and involvement in the growth of the program has the nominee held? Founder, Board Member, led initiatives, etc. Please be as specific as you would like in your answers. All information provided will be used in the consideration process. Contact Becky Ragan, bragan@nawbo.org, with any questions. Register now It's never easy to seek new opportunities that may disrupt your life. Your natural instincts and immediate concerns of the day urge caution and delay. It’s never easy to seek new opportunities that may disrupt your life. Your natural instincts and immediate concerns of the day urge caution and delay. Yet many other women have done this successfully — redefined who they are, founded new businesses, embarked on new careers, and/or changed their lifestyles. It doesn’t matter whether you are starting anew, feel trapped in your life, or are dreaming of better ways to invest your time, energy, and passion. Learn strategies to make it easier to shed your fears and take the first steps towards creating a different future. LEARN & INTERACT with Noreen Sumpter, our keynote speaker. Noreen is the founder of Live Life Your Way, where she works with men and woman to find their power and live powerfully. Her passion for personal growth and development inspires others to Own Their Voice, Speak Their Truth and Live Life Their Way. LISTEN to Noreen moderate an inspiring panel of four women talk about pivoting, creating new opportunities, rebalancing their lives and finding success in entirely new directions. SIGN UP for free one-on-one business mentoring from SCORE – sessions are limited. NETWORK with peers across multiple industries and make valuable connections. So you’ve got a great product or service. Now how do you get consumers to buy it? If you think digital marketing is a cornerstone of any modern businesses marketing strategy you’re right. Whether it’s customer reviews on Yelp or a sophisticated social media, search engine optimization and email strategy you need to understand the digital landscape or risk being left behind by your competitors. Join NAWBO NYC on 4/30 to learn from NAWBO NYC President and 21-year digital marketing veteran, Maisha Walker how to bring your ideal customer to you and make the right decisions about which digital marketing channels make the most sense for your business. Your presenter Maisha Walker is the President NAWBO NYC, President of The Black Ivy Alumni League and President of multiple-award-winning digital marketing agency Message Medium. Maisha helps successful brands leverage digital to acquire new customers, build, implement and maintain a cohesive digital strategy and achieve aggressive growth. She has been in the industry for more than 23 years. She predates Google in the industry by 2 years and Facebook by 8 years. Maisha has a featured online column with Inc. Magazine and grew it to Inc.’s highest trafficked blog in less than 1 year. She has been featured by Business Week, the American Marketing Association, Guy Kawasaki, Forbes, Bnet, Entrepreneur, Black Enterprise, on Fox News and on NBC news among others and has toured the country educating entrepreneurs and personally conducting more than 500 events on social media, search engine optimization & advertising, email marketing and Web site design. She received her B.A. from Princeton University, and began her love affair with coding at the early age of 9. The Member Orientation is a part of the New Member 30-day Challenge. The New Member Orientation is a monthly Zoom call that’s mandatory for all new members. The call takes place on the 1st Thursday of every month at 11:00 am. It is a 60-minute call each new member is required to attend. On the call, you will receive information about NAWBO and all its benefits and what is required for you as a new member. Please be available to give a one- minute spotlight about yourself and your company. It is important that you RSVP for this call and that you dial-in on time. If you are a new member that has fallen through that cracks, please contact me at Noreen@Noreensumptercoach.com in advance with your information so that you can be added to the call. NAWBO represents the voice of 10 million women business owners for over forty years and we continue to advocate, educate, empower and propel women business owners in our country. This thirty-minute presentation will provide an overview of all of the key benefits of membership and “WHY” NAWBO continues to be the “go to” premier business organization for women! In light of recent current events, it is more important than ever to courageously engage in honest and meaningful conversations with those around us. We all have beliefs, values and a plethora of opinions and if we allow those opinions to close down our ability to hear, it is unlikely that any change can occur between two people. In this introductory, experiential workshop, McKenzie will show you how to improve your listening skills and ask powerful questions to help create courageous conversations. 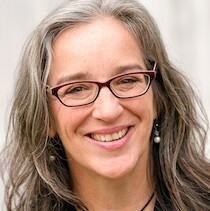 McKenzie Wren is skilled facilitator who honors the power of community to solve its own problems. Her particular areas of focus are helping businesses and non-profits create cultures of collaboration and inclusion. Through her independent practice called Culture on Purpose, McKenzie helps groups and organizations increase their sense of community specifically by assisting with communication flow and increasing engagement. She brings an asset-based approach to all that she does and uses collaborative and participatory tools to make sure all voices are heard. She excels in helping teams and coalitions thrive by supporting participants in creating shared vision and processes. Underlying all of her work is a commitment to social justice and racial equity. Her work around diversity, inclusion and equity is rooted in Dr. Martin Luther King Jr’s expression of the Beloved Community. McKenzie earned her master’s degree from Emory University Rollins School of Public Health where she currently teaches students on leadership and community engagement. She is VP of membership of the Southeast Association of Facilitators and is passionate about her family, gluten-free chocolate chip cookies and her electric bicycle. TIME TO NETWORK OVER BREAKFAST! Join us for our Facilitated Networking Breakfast. As business owners, we all crave true connection with others who have “been there and done that.” This structured breakfast meeting will provide the opportunity to meet in different small groups with like-minded businesswomen to share experiences and discuss challenges in a way designed to foster bonds. It is hard to get to know someone at a typical cocktail-hour networking event. NAWBO NYC’s facilitated networking breakfasts are structured to allow participants to quickly assess potential connections that may be suitable for ongoing networking relationships. This facilitated morning networking event will be high impact, productive and fun! Limited to 20 attendees so first come first served: Purchase your ticket right away! For all NAWBO members who are planning to attend our annual Advocacy Day and/or our Academy for Public Service, this webinar is for you! Hear about the agenda for the day, how you can prepare, what you should expect, how to make the most of the experience and how to apply it all back to your advocacy efforts at home in your chapters. The webinar is open to all NAWBO members and can also help NAWBO members who are just looking to learn more about what NAWBO National Advocacy is all about. Learn the first steps and basics you need to begin advocating in Washington D.C. and get all of your questions about NAWBO National’s Advocacy Day answered from NAWBO’s own public policy team in D.C., Joy Lutes and Elle Patout. Join NAWBO and thousands of entrepreneurs and future business owners at the International Franchise Expo, the largest franchise expo in the country. Meet face-to-face with over 400 proven franchise opportunities. Every industry. Every investment level. Full-time and part-time. Get educated; explore the benefits of being in business for yourself but not by yourself. Westin D.C. City Center, Washington, D.C.
11:15-12:15pm Meet the NAWBO Team! How can we help support you and the Chapter? Click here to book your room. Room rate is $229 per night plus tax, deadline to book your room is May 15, 2019. This year’s NAWBO Academy for Public Service will devote time for Advocacy Day prep and connect you with NAWBO partners and chapter leaders who are making a difference through their advocacy efforts. Do you know how “findable” your website is to your potential customers? Even an excellent site can get lost in the crowd if it isn’t ranking highly enough in search results. Improving your Search Engine Optimization is one of the most important keys to bringing more business to your site. Join digital marketing expert Maisha Walker for her 3-part online Digital Marketing Masterclass where she will help you navigate the complex world of keyword research and analysis, getting listed on local maps, and knowing when SEO is worth the investment (and when it isn’t!). In this live class, Maisha will be teaching and answering all of your questions live, in real-time. Additionally, you will receive a private 30 minute one-on-one consulting session with Maisha. Take the next step towards improving your site’s SEO and reserve your spot today! Our March class sold out so register early. We encourage you to bring your most pressing business challenge to the table and let the power of a small group of other brilliant business owners brainstorm solutions with you. This facilitated event will be high impact, productive and fun! Virtual Connect & Learn: "How To Sell More and Feel Good About It"
13jun5:00 pm6:00 pmVirtual Connect & Learn: "How To Sell More and Feel Good About It"
Solid and increasing sales showcase well-executed transfer of confidence to the buyer. Beate will show your audience strategies to increase sales by using her method of “Getting Inside Your Client’s Head.” The second step of her 5 Star Success Blueprint of Growth Architecture shows the elements needed to create a value proposition customized to solve each client’s specific need. From figuring out what clients actually want, to pricing it correctly to positioning and packaging it more effectively, this presentation outlines a unique relationship sales based solution. Learn how to analyze clients better and negotiate stronger, as well as create mutually beneficial partnerships with clients aimed at increasing the bottom line. Beate Chelette- NAWBO- LA, a first generation immigrant is The Growth Architect® and served as the Programming Chair for the National Association of Women Business Owners (NAWBO-LA) and remains an active member. Once $135,000 in debt and a single mother, she successfully sold her business to Bill Gates in a multi-million dollar deal. Beate has served thousands of Entrepreneurs, Founders, and Small Business Owners through her online courses, one-on-one training programs and live speaking events. She develops custom entrepreneur skills programs for her clients and trains entrepreneurs in her system through the 5 Star Success Blueprint, that shows how to grow, build and scale a business from idea to acquisition. She is a respected speaker and mentor and is the author of the #1 International Amazon Bestseller“Happy Woman Happy World – How to Go From Overwhelmed to Awesome”, a book that corporate trainer and best-selling author Brian Tracy calls “a handbook for every woman who wants health, success and a fulfilling career. Solid and increasing sales showcase well-executed transfer of confidence to the buyer. Beate will show your audience strategies to increase sales by using her method of “Getting Inside Your Client’s Head.” The second step of her 5 Star Success Blueprint of Growth Architecture shows the elements needed to create a value proposition customized to solve each client’s specific need. From figuring out what clients actually want to price it correctly to positioning and packaging it more effectively, this presentation outlines a unique relationship sales based solution. Learn how to analyze clients better and negotiate stronger, as well as create mutually beneficial partnerships with clients aimed at increasing the bottom line. She is a respected speaker and mentor and is the author of the #1 International Amazon Bestseller “Happy Woman Happy World – How to Go From Overwhelmed to Awesome”, a book that corporate trainer and best-selling author Brian Tracy calls “a handbook for every woman who wants health, success and a fulfilling career.